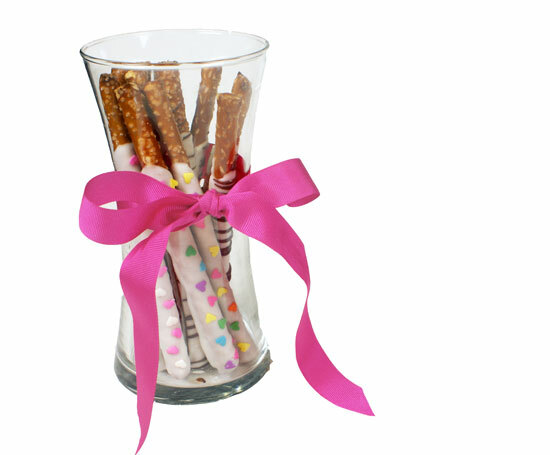 Customize chocolate dipped pretzels for Valentine's Day! 2. Dip 3/4 of each pretzel rod in melted CANDIQUIK® Coating; allow excess coating to drip off. 3. Place on wax paper to dry and decorate with sprinkles before coating is set.